Located on NC-55 just south of Morrisville Pkwy, Extra Space Storage serves residents of Cary, Carpenter, Morrisville, Apex, Clegg, Genlee, and more. 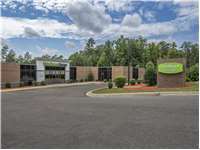 Locals will recognize our facility next to the U.S. Army Reserve Center a few minutes southwest of Carpenter Elementary School and a few minutes north of Green Hope High School. Extra Space Storage on NC-55 offers a large selection of storage units, climate-controlled storage, wine storage, and drive-up access, making us your ideal storage partner in Cary near Carpenter! Our Cary storage facility offers unit sizes as small as 2x3 and as large as 15x20 with convenient features like indoor access, drive-up access, and first-floor access. We also offer wine storage units and climate-controlled units. To ensure the safety of our customers and their belongings, our NC-55 storage facility has advanced security features like 24-hour video surveillance and electronic gate access. Protect your temperature-sensitive items from Cary's extreme heat and cold with climate-controlled storage. This amenity maintains a storage environment between 55 and 80 degrees at all times to prevent damage to your belongings. Units with climate control come in sizes 2x3 to 15x20. 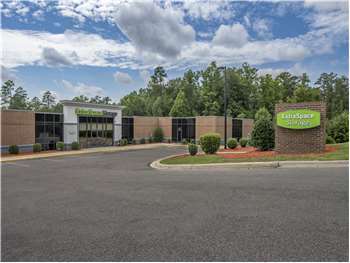 With my experience at Storage Facilities, I must say that Extra Space on Hwy 55 in Cary, NC has demonstrated the utmost care and professionalism throughout my entire move-in and storage process. The privacy and security of the facility exceeds all that I have seen. The areas are all extremely clean and the grounds are well maintained. The office staff (Frances and Allen) went above and beyond to make sure all of my concerns, questions, and privacy issues have been addressed. I have great comfort in knowing that my life's belongings are so well taken care of while I'm not in the area. Thank you Extra Space!!! I originally rented a 10' x 20' unit. I quickly realized that all my furniture and boxes wouldn't all fit. The staff was gracious and switched my storage unit to a 10' x 30' without a penalty. We chose this facility to house our daughter's belongings for the summer. She is a college student very far from home and it is often challenging to take care of things when you can't be there in person. The staff @ ExtraSpace were fantastic! I was able to set everything up in advance, including monthly payment information, and all my daughter had to do was stop by the office and sign a few papers. It was a stress free experience and I am very happy to recommend this facility to everyone. This is a fairly new facility and the place has reasonably priced units. Still has the new fresh feel and is clean. The worst thing I had is a property that is not kept clean but this one stays clean. Why didn't I give it full rating for convenience? Well when I leave the place I have to go over 1.2 mile to a light to turn around to get back to the light so I have to go over a mile out of my way to get back to the front of the building. I'm hoping when they finish Morrisville Pkwy they will get a drive way out to the light. Other than this it is a great place and you will enjoy it including the free moving truck. ExtraSpace Storage was a pleasure. Easy access to units and pushcarts to help with moving boxes, etc. Plus the place was climate controlled and clean! I wasn't worried that my furniture or clothes would get filthy. I was afraid I would get soaked for high $$, but the price was very do-able. John & Lisa were friendly as can be and just as helpful. Overall it was a great experience. I expected less and got much more. Thanks ExtraSpace - I needed that. The layout is convenient and easy to use, and the office staff tries hard to help. they had spare push-carts around to help move stuff from car to storage unit. truck rental makes sense... too bad i didn't know about it before renting! i wasted money on renting a truck. one complaint: door into the air conditioned units has a high doorjam, so the push truck is hard to get over it each time back and forth. Not a big deal, but if you can make a smooth doorway, it would be better. What attracted me to your company was the convenient location,the cleanliness of the facility and the free use of the van. Many competitors charge as much if not more and they are not well maintained at all. If you're storing personal items of value you want to keep them in an environment that is as clean as your home. Your facility creates that impression and delivers it, based on my experience. Just south of the intersection with Morrisville Parkway. Go south on NC-55 E towards Apex. We are on the right just past Morrisville Parkway and the big blue water tower between American Soil & Mulch and the US Army Reserve Center. If you reach Green Hope School Rd you have gone too far. Go north towards Durham on NC-55 East. At the Morrisville Parkway intersection make a u-turn. We are immediately on the right just before the US Army Reserve Center. Take Morrisville Parkway west to NC-55E. Turn left onto NC-55E. We are immediately on the right just before the US Army Reserve Center. Take Carpenter-Fire Station Road east to NC-55E. Turn right onto NC-55E. We are on the right in about .5 miles just beyond the Morrisville Parkway intersection, between American Soil & Mulch and the US Army Reserve Center.